Asking always to be nothing and enter Allah ‘Azza wa Jal’s oceans of rahmah, and Alhamdulillah from Maulana Shaykh’s teachings, from ilm ul-huroof and the understandings of huroof, and these are the knowledges of malakut. And Allah ‘Azza wa Jal, from the heart of Suratul Yaseen, from the heart of Sayyiduna Muhammad (sallallahu alaihi wasallam) describes that: the hand of the malakut encompasses everything, that if we begin to contemplate that from heavenly realm because if we say, in our associations, the world of light, then the Muslims don’t understand what you’re talking about of world of light means from malakut. And the knowledges of the malakut, Allah ‘Azza wa Jal describes in Suratul Yaseen that, that knowledge and the hands that have that knowledge, that knowledge encompasses everything. The malakut encompasses everything means we know now that the world of light encompasses the world of form, because the world of form is hollow. What’s inside the world of form are the atoms and the molecules and the qudra and the power, that the malakut is the power and the source of what making that form, allowing that form to appear. So it’s not only the subtle world, but that subtle world controls even the physical world; means that the malaa’ika, the energies, the power and the reality exist within every form. Every form is moving by that energy and from ilm ul-huroof will begin to teach us to step towards the horizon, means elevate the understanding and the way of ma’rifa is to know. And the first thing they begin to teach is that everything from a distance has a certain colour. 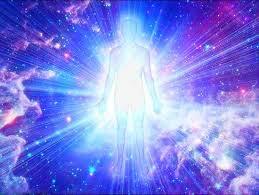 As you approach the concept of ma’rifa is as you’re approaching that reality, it began, it begins to immensely expand. So they describe like a mountain from a distance, mountain looks dark, black, but there’s no mountain dark. As soon as you enter and begin to approach a mountain, you see it’s huge: colours, rivers, streams, means so many realities but at a distance, it has a certain appearance. As soon as you begin to move and become from aa’rifeen, those who are seeking to know, Allah ‘Azza wa Jal begins to expand infinite capacity of realities. On one understanding of the kalimah alif, lam, lam, he– Allah, Allah ‘Azza wa Jal- that they begin to teach us that nothing can encompass Allah ‘Azza wa Jal. 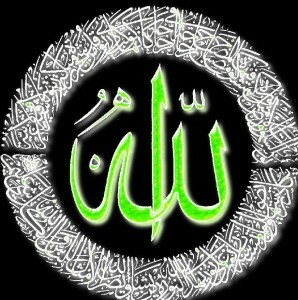 Nothing can truly understand Allah ‘Azza wa Jal, nothing can contain Allah ‘Azza wa Jal, especially the huroof. Means we have only an understanding when we say “Allah,” not that you know Allah ‘Azza wa Jal, but merely Allah ‘Azza wa Jal gave us a way in which to approach that reality, and from ilm ul-huroof, Maulana Shaykh begins to teach that: the huroof will begin to teach us that, nothing can contain Allah ‘Azza wa Jal. There’s no name that can contain Allah ‘Azza wa Jal, there’s nothing written on anything manifested that can contain Allah ‘Azza wa Jal; there are merely signs directing us towards Allah ‘Azza wa Jal, and that everything must be based on La ilaha illa-Llah, Muhammadun Rasoolullah (sallallahu alaihi wasallam). Means every haqqaa’iq and every reality that Allah ‘Azza wa Jal wants us to move into, it must contain Sayyiduna Muhammad (sallallahu alaihi wasallam). There’s nothing for us beyond that. Means every reality must have an adab, must have a way; that way is within the ocean of Muhammadun Rasoolullah (sallallahu alaihi wasallam). We said last night, that, if not by the understanding of A’oothubillahi minash-shaytaanir rajeem, every knowledge from Bismillahir rahmanir raheem is going to have a variation of reality. If we know the A’oothubillah, its reality is seek refuge, what we reciting on the Qasidah Burdah? Means that we’re saying that, “Who can I seek refuge in, other than you, Sayyidi, ya Rasoolullah, through every calamity and every difficulty,” because Allah ‘Azza wa Jal said, “The heart of My believer is My House. I’m not on heaven and I’m not on earth but I’m on the heart of My believer.” Means Allah ‘Azza wa Jal telling us, “If you want to seek refuge in Me, you’ll find Me in the heart of Sayyiduna Muhammad (sallallahu alaihi wasallam).” So means, be then with Prophet (sallallahu alaihi wasallam), love Sayyiduna Muhammad (sallallahu alaihi wasallam). The huroof begins to teach us that you cannot approach to understand the alif; you have to go through the door of the he. When you’re trying to understand a reality, you can’t go from its apex. You have to enter through the door, Allah ‘Azza wa Jal says, ‘Everything has a door, enter every house through its door.” Begin to teach us in just the huroof of Allah ‘Azza wa Jal, he it stands for hidaayat, and guidance. 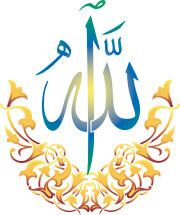 That Allah ‘Azza wa Jal beginning to teach, “You want to come to Me, you want to come to My realities, then come to that he, come to that hidaayat and that guidance.” And in the object realities, that he has a value of five, because Allah ‘Azza wa Jal describing, “These are your senses.” How you going to use hidaayat to teach Allah ‘Azza wa Jal? That hidaayat has to be through the senses: to hear, to see, to feel, to smell and to taste. That is what makes us and gives us the honour of our creation, that: use your senses to reach towards that reality. “They have ears but they don’t really hear.” What does that mean? “They have eyes but they don’t really see,” they’re lost in the illusion. The malakut and the world of subtlety, the atomic reality, reality of energy and light, means that hearing must be a hearing through the soul; you have a hearing through your ears and you have a hearing through your soul. You can hear with your ears and begin to discipline your ears; that’s why the highest level of fasting is to fast with all the senses, ‘cause the fasting of all the senses begins to open up the realm of the world of light. Means just through the he begins to teach us: come through hidaayat, come through guidance and who’s Allah ‘Azza wa Jal’s Hadi? Is Sayyiduna Muhammad (sallallahu alaihi wasallam). That guide to the alif starts right here. The guide towards that reality is teaching us that: come with your senses, ‘cause you’re going to use your physical sense, did you hear this message and did you accept? ‘Cause many people hear it but they’re not truly accepting it in their soul. Are you seeing with your eyes its reality? 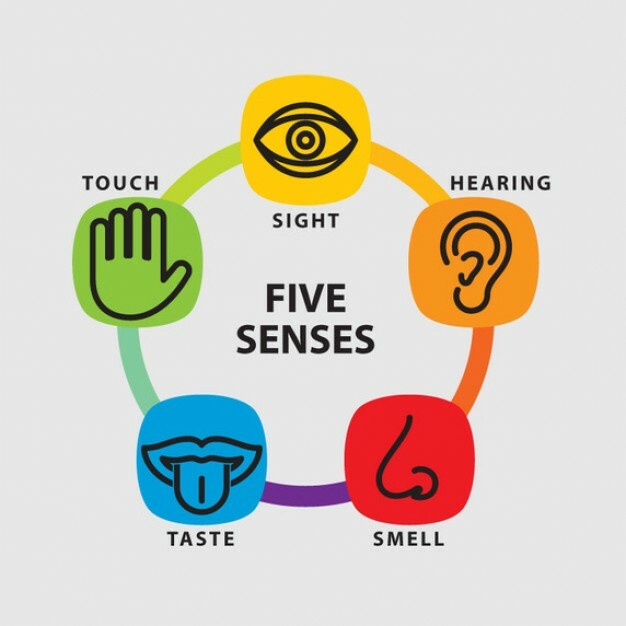 Are you sensing and feeling, are you smelling it and are you tasting it? And then they begin through every sense, that must be activated through the soul, you must begin to hear with your soul. 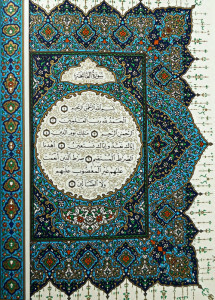 And that’s what Allah ‘Azza wa Jal begins to describe that, “When you approach Me through voluntary worship and through love, I will become the hearing in which you hear, the seeing in which you see, the hands in which you feel, the tongue in which you speak, the breath that which you breathe,” the whole hadith qudsi. Means then there must be a soul hearing, where you discipline yourself, stop listening to badness, stop listening to bad advice, stop and begin to fast with your ears that, “I don’t need to hear everything and everyone. If it’s not from malakut, it has no value on my soul, it’s a waste of time.” Begin to see with your eyes, not with these eyes see of the bazaar and the market and the streets, but begin to close your physical eyes and train the eyes of the soul to begin to open. And that’s only with tafakkur and contemplation, that when you isolate yourself and begin to play Qur’an and play salawat and lock yourself into a room, and begin to breathe and say, “Ya Rabbi, what these eyes are seeing are of no value. Let me to enter into a state of nothingness and train the eyes of my heart to begin to see.” The more you can keep your eyes to be closed and train yourself through contemplation and tafakkur, the more the eyes of the soul will begin to open- what they call the khash. Allah ‘Azza wa Jal begins to send images, begins to send a consciousness and awareness, where you begin to see what people don’t see. As you’re controlling your hearing, you begin to hear what people don’t hear, you hear the greater reality within your soul, that Allah ‘Azza wa Jal dressing it. From the heavenly kingdom Allah ‘Azza wa Jal dressing the soul with all of its realities, alam al-Qur’an, khalaq al-insaan; reaching back to what Allah taught us of realities, that hidaayat they teaching us, come to reality of hadi of Allah and the guide of Allah ‘Azza wa Jal, that they way of Prophet (sallallahu alaihi wasallam) going to teach us, that you begin to train to how you’re going to hear, how you’re going to see spiritually, how you’re going to open up your sense of feeling, not just the feeling of physicality, but the sense of your subtle being, how to feel with your soul. And if you are a believer, you know that many times you go somewhere and you know in your soul that’s not the place for you. You feel a sense of panic that maybe you have entered into an area or somewhere, or something is dangerous: this is a subtlety. Or if your heart is subtle, you feel the tajallis and begin to cry, you feel the emanation and the presence of the Prophetic light: this is a subtlety, this is the sense of feeling with the soul, hearing with the soul, seeing with the soul, feeling with the soul. 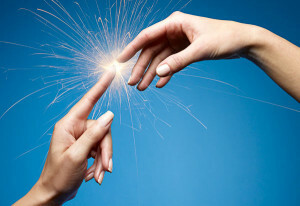 The feel and the touch and the whole being is activated. If those are all activated, now the rising of the malakut is to begin to smell with the soul. 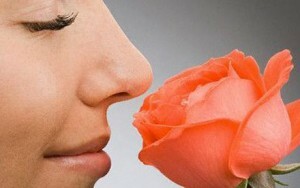 Seek that which smells nice and pleasurable. What they call aromatherapy is angelic reality. If you are rising with the reality of your soul, your soul cannot take bad fragrance, your soul cannot take bad smells, your reality can’t take. They say the shaykhs, they can smell the dirt that people put upon their souls and that smells worse than the worst sewage plant. It’s a waste, it’s like a, like a smell worse than death, of a rotting carcass, because the bad actions are causing a state of death upon the being, and release a tremendous and horrific smell. 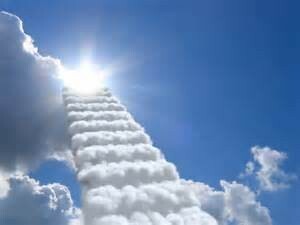 This is from now the rising of the malakut and the angelic realm. All within the he of hidaayat is teaching, that you begin to train: fake it until you make it, you begin to fragrance everywhere, so that you like good fragrances, you begin to fragrance yourself knowing that these angelic beings, they don’t like to come to bad smells. They don’t like an environment of bad smells, they won’t come, and if they don’t come their support will be cut. So you live your life off of your soul’s reality. They’re not living off of their physical reality. They depend upon what their soul can hear. They depend upon what their soul is witnessing because they are from the people of haqqaa’iq. They have reached ilm ul-yaqeen, they have been granted in darajats, ayn al-yaqeen, that this ilm ul-yaqeen and ayn al-yaqeen means they are walking in haqq yaqeen– they are walking within the oceans of their reality. As a result, their sense, they live by that smell, by what they see, what they begin to smell. Their breath is the power of their zikr; their zikr is through their soul and the energy that dressing their soul, their sense of touch, and then the highest of that hidaayat is their sense of taste. So then those who came from paradise most recently, all you see them do is put everything into their mouth- little babies. You see them always hold their thumb for their energy, and put everything into their mouth, ‘cause they came from the realm of reality, they came from the people of taste and they entered into the dead zone. The earth is the zombie, walking- what do they call- walking dead. (Amir convinced us to watch that show, he say, “Oh everybody is Michigan watching them,” it’s nothing anybody watching that horrific show but it was analogy of dunya.) Awliya Allah they see this dunya, they are walking dead, they are smelling corpses and all that they pursue is that which is evil and nasty. And they begin to teach: your highest reality, thawq, is taste. That’s why Allah ‘Azza wa Jal wanted so much for us Ramadhan, and the focus of the mouth and the focus of the abstinence, the focus of fasting was not just the fasting of once, one thirty-day period but was an entire life of fasting. Fast with your ears as much as you can, especially more rewards in this busy dunya. If they would have made us to live in Makkah and Madinah, Alhamdulillah, would have been great. 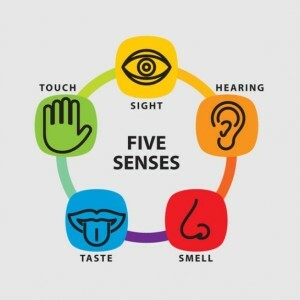 Allah ‘Azza wa Jal put us in the candy shop and said, ‘There’s more reward for you, because every temptation is around your senses.” Abstain and fast, fast with your ears, fast with your eyes, fast with your breath, so that Allah ‘Azza wa Jal can open the reality of tasting these realities. That is under the control of Sayyiduna Muhammad (sallallahu alaihi wasallam). This alif ….. is always by itself, ‘cause, you’re pursuing Allah ‘Azza wa Jal and Allah ‘Azza wa Jal is a mystery, always keeping that, “No partner with Me, but when I want to show My support, I merely begin to write it like that, that my alif is supporting it, my ‘izzah is supporting.” Begin to teach: now this is the way of ma’rifa. You’re on a journey towards realities, you start with hidaayat and guidance. So Prophet (sallallahu alaihi wasallam) comes to perfect your hidaayat, that Allah gave you senses, use these senses to reach your reality. Use your God-given gifts that make to be different than a baboon, and reach your guidance and reach the malakut. Don’t be stuck on just the physical world guidance- how many times to make wudu, how many times, percentage of your zakaah– this, you need that but move towards the heavenly realm and that which is eternal, which is the soul. And they begin to take us with this hidaayat, come to this lam, and they begin to open the reality of lam, is lisaan al-haqq. So when we read Holy Qur’an, when you come across the he, it has a reality within hidaayat. Any word that has he, has some flavour of hidaayat, because ilm ul-huroof Allah ‘Azza wa Jal describing the word that you know from mulk has maybe completely different understanding in malakut. But the huroof of it is Allah ‘Azza wa Jal’s ingredients. If you put a little bit of he in every word that you read, it must have a flavour of hidaayat in it. 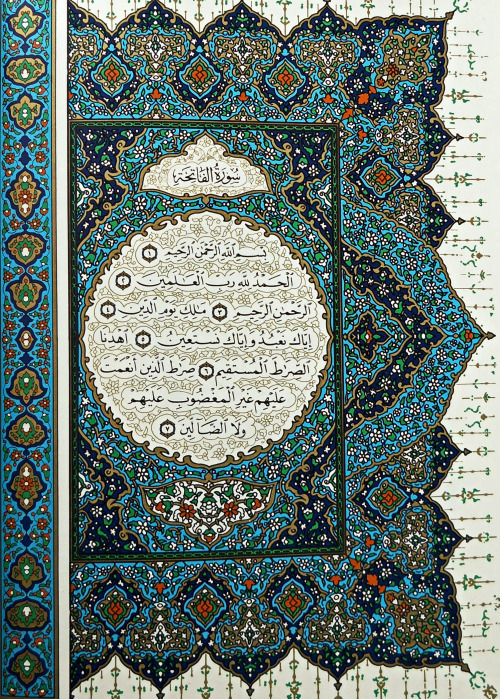 The lam has to do with the reality of lisaan al-haqq, the tongue of truth. We said for every manifestation to begin, for Allah ‘Azza wa Jal to grant an existence, for a universe to come into existence, it must be spoken. And Allah ‘Azza wa Jal speaks to no one but Sayyiduna Muhammad (sallallahu alaihi wasallam). That’s why we’re leaving Holy Qur’an to Prophet (sallallahu alaihi wasallam) and we’re not talking physicality, we’re talking about the world of light. When Allah’s iradah and Allah ‘Azza wa Jal’s Will wants to be known, it must be for us everything through La ilaha illa-Llah, Muhammadun Rasoolullah (sallallahu alaihi wasallam) and then Prophet (sallallahu alaihi wasallam) gives the order for all of creation. When Allah ‘Azza wa Jal wants to bring creation into existence, must go from the Will and begin to give the permission to manifest upon the tongue of truth known as Sayyiduna Muhammad (sallallahu alaihi wasallam). So every time we see a lam, has to do with a mulk, a creation coming into existence, has to do with the secret of the tongue of Sayyiduna Muhammad (sallallahu alaihi wasallam) ‘cause nothing comes into existence without Prophet (sallallahu alaihi wasallam) speaking it. Allah ‘Azza wa Jal giving the order, “Qul,” and Sayyiduna Muhammad (sallallahu alaihi wasallam), “kun faya koon.” Kun faya koon is inheritable, that’s why the hadith qudsi, “Come, I be your hearing, your seeing, all the way til you become rabbaniyoon and you have power of kun faya koon.” Because the more your will is submitting to the will of oolul amr- Bismillahir rahmanir raheem, ateeullah atee ar-rasool wa oolul amrin minkum– the more your will submits to the oolul amr, the more your will submits to Prophet (sallallahu alaihi wasallam), the more your will has submitted to Allah ‘Azza wa Jal. So no doubt, what comes into your heart begins to manifest. Many awliya Allah merely want something within their heart. It’s what Allah wants, what Prophet (sallallahu alaihi wasallam) wants, what their oolul amr want, that, merely they put into their heart and it begins to manifest. And this is the world of malakut. And they’re teaching, kun faya koon is for Sayyiduna Muhammad (sallallahu alaihi wasallam). Qul is for Allah ‘Azza wa Jal, and qul is teaching us that qaf wal Qur’an al-majeed can only go to the lam, and the only lam for Allah ‘Azza wa Jal is Sayyiduna Muhammad (sallallahu alaihi wasallam), lisaan al-haqq. And the oolul amr, they are the tongues of truth, they inherit from the tongue of Sayyiduna Muhammad (sallallahu alaihi wasallam), wa lisaan as-siddiq. So then this lam closest to hidaayat is representing the world of form, what they call the mulk. Lam closest to hidaayat is the world of form. Why form? Because Prophet (sallallahu alaihi wasallam) speaking it, everything in the material world that manifesting because you’re now moving from mulk to malakut. Means come through he of hidaayat to the mulk of Allah ‘Azza wa Jal, the kingdom of Allah ‘Azza wa Jal that manifesting; you can’t go malakut first, you have to go mulk wal malakut. That’s why awliya Allah come in the huroof and they teach: when you put this alif, you put it on the lam closest to the he, ‘cause Allah ‘Azza wa Jal teaching, “Come to My Mulk, come through My Hadi, and you’ll find My Power and My Qudra upon his heart.” And that’s why the hadith, “I’m not on heaven, I’m not on earth but I’m on the heart of my believer.” The believer of Allah ‘Azza wa Jal is Sayyiduna Muhammad (sallallahu alaihi wasallam), all of these are in hadith. That’s why the alif is always moving; and qalb al-mu’min baytullah, so they move the alif onto that lam to teach that Allah’s ‘izzah is upon that reality. So then in dunya we have to come through hidaayat and say La ilaha illa-Llah, Muhammad Rasoolullah (sallallahu alaihi wasallam) and then you entered in now, towards paradise, to realities. From there Prophet (sallallahu alaihi wasallam) takes us to the second lam, and that is the kingdom of the heavens, where Prophet (sallallahu alaihi wasallam) described that, “I was a rasool before Adam was between clay and water, means in malakut, I am Rasoolullah (sallallahu alaihi wasallam), I am Habibullah (alaihis salaatus salaam).” Means Prophet (sallallahu alaihi wasallam)’s risaalat and messengership is eternal. In the world of light, the only one who represents Allah ‘Azza wa Jal is the soul of Sayyiduna Muhammad (sallallahu alaihi wasallam). When you enter into the nur, the Divinely presence of that nur, that is the reality of Sayyiduna Muhammad (sallallahu alaihi wasallam). And nobody can pass that reality to go towards Allah ‘Azza wa Jal. That’s why isra wal mi’raj, that even Sayyiduna Jibra’il (alaihis salaam) clarified, that “I don’t go beyond this limit, because there’s nobody between Muhammadun Rasoolullah and La ilaha illa-Llah.” And that is ……….. wa adna, that there is no one in between bayna Ahad wa Ahmad (sallallahu alaihi wasallam), is only the meem of Muhammad (sallallahu alaihi wasallam). 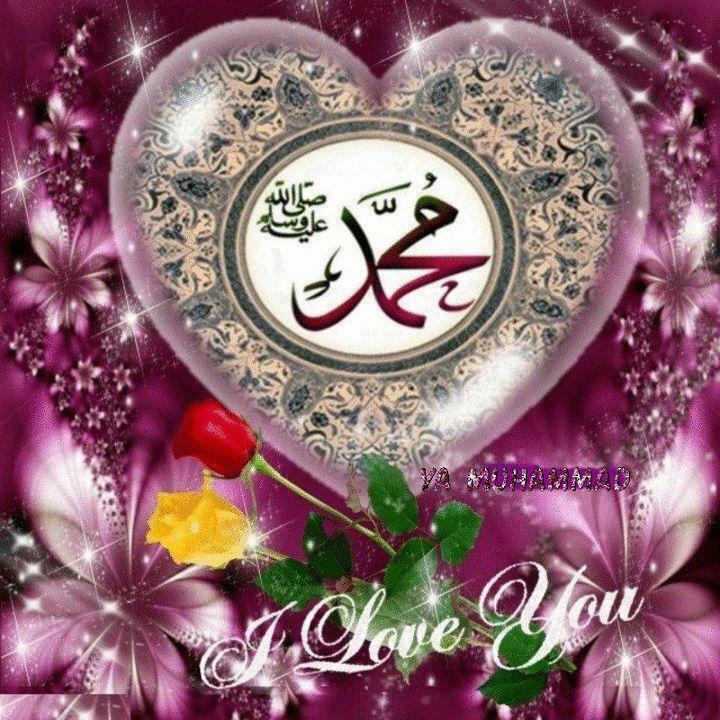 Begin to teach us, that the lam, lam, he, ل ل ه everywhere in it is found Muhammadun Rasoolullah (sallallahu alaihi wasallam). ا Alif, ‘izzatullah, is moving. Every time you see lam, lam, he, Sayyiduna Muhammad (sallallahu alaihi wasallam) is in there. So what they call that, from the Arabs, is masiwa Allah- all that’s other than Allah ‘Azza wa Jal, ‘cause Allah’s ‘izzah can only be found in the alif. When you see lam, lam, he, there’s a reality of Sayyiduna Muhammad (sallallahu alaihi wasallam) in there. ل ا م And beginning to teach, that when you open the lam– how they say that they can go into the darajats of knowledge of the huroof, they can take the one huroof and begin to open it- from the understanding of lam, they can open into three more levels of reality, that within every lam must be a lam, alif and a meem. Again Allah ‘Azza wa Jal proving to us that, “Even the lam has My ‘Izzah and closest to you is the meem of Sayyiduna Muhammad (sallallahu alaihi wasallam).” Means that reality is containing that reality. So when Maulana Shaykh was teaching, this is the reality or ma’rifa, that you must come to the guidance of Prophet (sallallahu alaihi wasallam) and begin to open the reality of the kingdom of form, the kingdom of the heavens, that subtle reality to reach towards ma’rifah of Allah ‘Azza wa Jal. And Allah ‘Azza wa Jal is always a hidden treasure wanting to be known, and will be known through the reality of Sayyiduna Muhammad (sallallahu alaihi wasallam). So when they’re teaching Holy Qur’an, Suratul Baqarah starts with alif, lam, meem. All of Holy Qur’an will be found in that understanding: ‘izzatullah through the lam and the tongue of truth will be known to you as Muhammadun Rasoolullah (sallallahu alaihi wasallam). So when they say nobody knows those huroof, that’s incorrect; they don’t know what that huroof means, but Allah ‘Azza wa Jal has taught many that reality, and those are the keys in which they enter into the reality of Holy Qur’an. That is the key in which dresses their being and their soul, that from the alif, lam, meem is the whole story of creation, that always Allah ‘Azza wa Jal’s ‘izzah is dressing the tongue of truth, and the only way towards that reality is through the Muhammadan reality. And that’s why Allah ‘Azza wa Jal describes the meem like a hubl, that, hold tight to the rope of Allah ‘Azza wa Jal and don’t separate. The rope of Allah ‘Azza wa Jal is the rope of that meem, when the meem is coming down, it’s a rope towards humanity, that Prophet (sallallahu alaihi wasallam)’s reality is a rope towards this understanding. 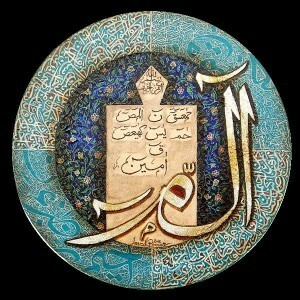 And all reality is from that alif, and they begin to open the alif, and from within the alif, you find alif, lam, fa. ا ل ف Just from ‘izzatullah that, that alif, lam, meem is a description that everything is contained in that reality, whole story of creation from ‘izzatullah is coming to the lisaan al-haqq and will be known to you as Sayyiduna Muhammad (sallallahu alaihi wasallam). What Allah ‘Azza wa Jal wants from us is: reach maqamal Mahmud, come towards the reality of Prophet (sallallahu alaihi wasallam), and the whole story of creation will be dressed upon you. If awliya Allah go into the alif and they begin to open the alif, the ali f becomes alif, lam, fa, . ا ل ف which is a description of Allah ‘Azza wa Jal’s opening of Al-Fatiha; and all Qur’an in seven verses of Fatiha. Means that’s how they begin to show that story of creation can be unfolded with the reality of the huroof, and a deep understanding between this lam and alif is signified by lam jalaala; that the way towards Allah ‘Azza wa Jal is based on la. 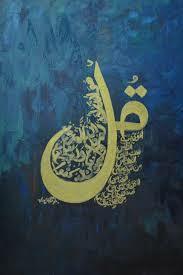 So La ilaha illa-Llah: the la upon the head means don’s use your head. Lam alif means no, la. But this is a deep meaning. This lam is for the tongue of truth known as Muhammadun Rasoolullah (sallallahu alaihi wasallam). 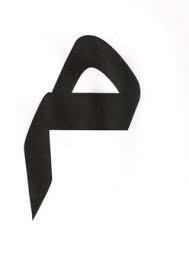 The alif for La ilaha illa-Llah, when you combine them, become la: means all the reality is based on that la. That la is the sword of Sayyiduna Ali (alaihis salaam), which, we talked about it when we talked about Sayyiduna Ali (alaihis salaam). Dhul Fiqar is the lam alif. Given, it was the sword of Sayyiduna Muhammad (sallallahu alaihi wasallam) given to Sayyiduna Ali (alaihis salaam), because he’s baab…. This is the city of knowledge. And the only who was holding Sayyiduna Ali (alaihis salaam) was holding the secret of lam alif, ‘cause these two points, they coming, these are the heads of the sword; that they come out to take the head off, that’s why the first zikr for every tariqa is La ilaha illa-Llah. Means the way towards reality is not through head, where you sit and contemplate, “That doesn’t make sense.” The head has no capacity for that reality; it’s based on the heart. And begin to teach every reality is in understanding la, la, la, that, “Ya Rabbi, let me to lose my head and open my heart.” So it’s La ilaha illa-Llah, illa-Llah, illa-Llah, ‘cause that nur of faith has to enter into the heart, that nur of faith enters the heart and begin to shut off the head. They want the head off and they want the heart to be like a sun. If the heart is a sun, ‘As- shamsi wal- qamar’: your head must be like a moon, not a sun. If your head is like a sun, it means it’s constantly thinking and double-thinking, and trying to contemplate what he’s saying is wrong. But the sun, it just shines, it polishes; the sun shines and the moon polishes. When the moon is polishing, polishing, polishing, that, “I don’t know, I don’t know, I don’t know,” the reality of the sun can begin to shine upon the moon. 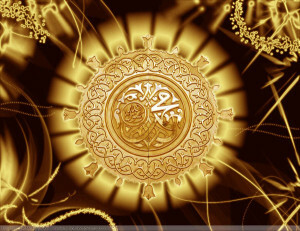 And become what they describe Prophet (sallallahu alaihi wasallam) was a full moon. Means every reality in that lam alif. Transcribed by Sister Hafsa M.